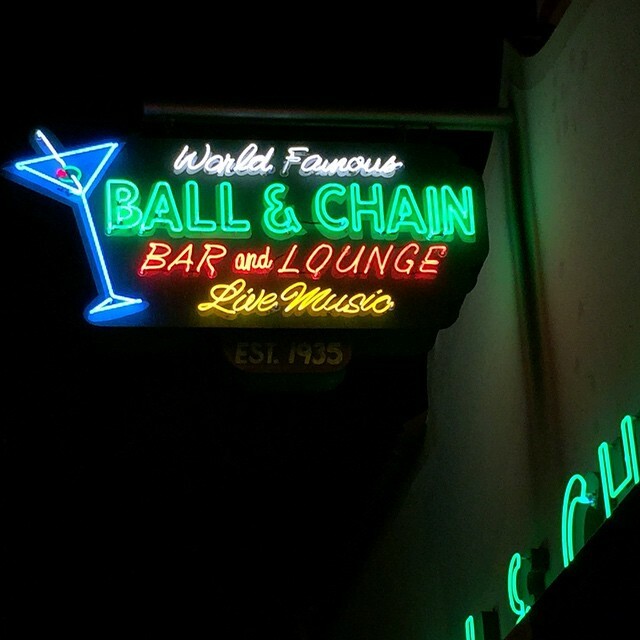 I had wanted to check out Ball & Chain since I first heard about its opening – or rather, re-opening, as I learned of its place in history in Miami’s cultural evolution. The depression-era bar where the likes of Ella Fitzgerald, Nat King Cole and Louie Armstrong once played has been designed to keep many of its historical fixtures and aura, decked with leather upholstered booths, vintage posters and prohibition-era glasswear and cocktails, and a local jazz band playing inside. The show was on the back patio, and when I first arrived instinct suggested that this is where they had run out of money. The stage was a makeshift amphitheater fashioned out of dusty plyboard, which muffled the sounds being played by the bands. The muffling would be a recurring theme for the evening, I would sadly find. Somewhat disappointing but it definitely didn’t ruin the night for any of us. Miami-based Eons did their best to get the crowd riled. The synth-pop duo’s keyboardist and vocalist Johnny D was aiming for enthusiasm when he started banging his head and jumping wildly, but his efforts fell a little flat with me and seemingly, the crowd. I wasn’t anticipating another band before the band, but The Hongs, who tout themselves as a ‘multinational dance rock conglomerate’ appeared just as I decided to feed the beast and get myself some Cuban spring rolls. Brazilian Girls were brought to Miami as part of a mini-tour in preparation of their next album release, the first since 2008. The New York-based clan attracted a decently-sized crowd that filled Ball & Chain’s immense outdoor patio. I along with the rest of the world have long regarded lead singer Sabine Scuibba as much a talented musician as a fashion icon. She was all stars and stripes last night, wearing lycra royal blue leggings with gold star appliques on the hips, a vertical-striped red and white top and mulberry suede fringed boots. 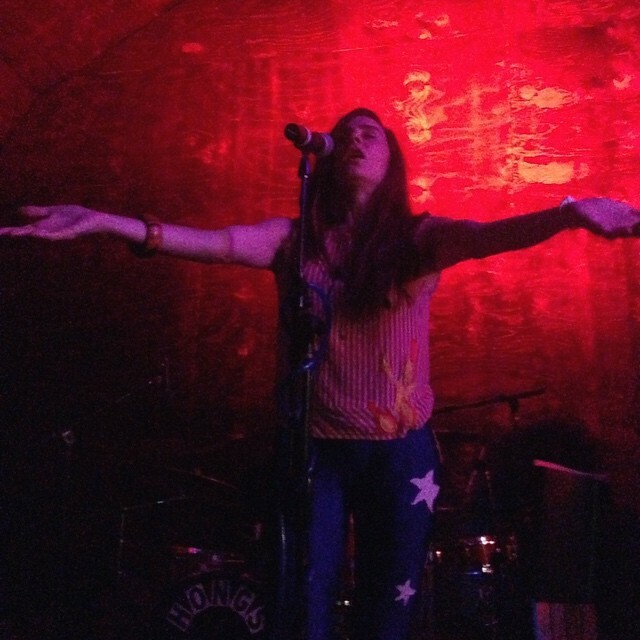 Her trademark long hair was perfectly coifed as she slinked around on stage, mouthing ‘no flash’ to the crowd. I couldn’t help but wonder whether it was actually bothering her or if she’s just taking a stance against social media. With Sabina’s sultry voice the band put on a seductively entertaining show. Though they haven’t played together in years, you really couldn’t tell.